Royalty Free Music for YouTube. How to avoid copyright issues when using music in videos posted on YouTube. What you need to be aware of. What kind of music you have to use and how Royalty Free Music for YouTube can help. Posting a video on YouTube without any background music is just not on, so using music in your videos is a very important part of your success. The right music can draw people in, and create the type of emotion that you are aiming to create with your videos, resulting in more views and higher ad revenues. There is one big problem with using music in videos, and that is that music is protected by copyright and you are not allowed to use any of it without permission from the composer or songwriter or it's legal representative. YouTube has been receiving a lot of flak from the music industry, and has started to aggressively monitor the music that is used in the videos that are posted on the site. The system used by YouTube to identify copyrighted material is called “Content ID”. When this system picks-up copyrighted material, claims can be made against the material by audio or video copyright holders. Users are informed of any claims made, what has been claimed and who has claimed it. So what does this mean? Well, if YouTube flags your video due to the use of copyrighted music, it can send this information to the copyright holder, run ads over the video with the payments going to the copyright holder, mute the audio on your video or even remove the audio or video completely. None of this is good news for YouTube users that want to use great music in their videos. Luckily there are alternatives. Royalty free music provides users with a low cost alternative that is legal and that will not create any copyright headaches. Relying on royalty free background music for YouTube videos is the best option when you need YouTube safe music for your personal, business or commercial videos. In most cases, it can be used for monetization purposes. 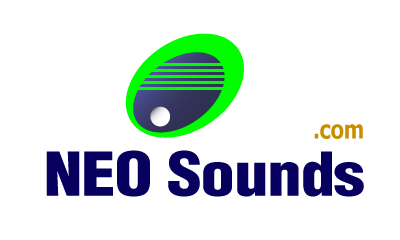 NeoSounds.com offers high quality, hand-picked royalty free music for YouTube videos that can be legally used without the fear of copyright infringement. You can use our music in your personal or business (commercial) videos, as well as monetize your videos with no additional costs being charged. We pride ourselves on providing only premium music, and we are continually adding new music to our selection. Creating awesome videos require a lot of time, preparation and creativity. The editing process is crucial to the success of your video. So, do not place yourself under pressure by using copyrighted music, or by using music of a low quality. Your videos deserve to have the best music soundtracks, and it is important to us to provide our customers with a wide range of high quality and hand-picked music for your YouTube friendly videos. Our music selection caters for various moods, themes, emotions and genres. 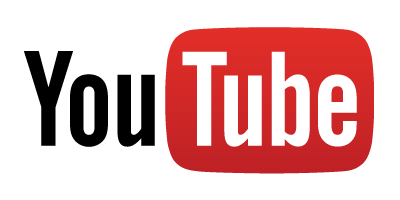 Add our music to your YouTube videos for a stress-free, user friendly and effective video creation experience. There is something for everyone in our music library, and we hope you will be able to find the type of background music that will enhance your video, increase views and improve the ad revenues that you generate on YouTube.